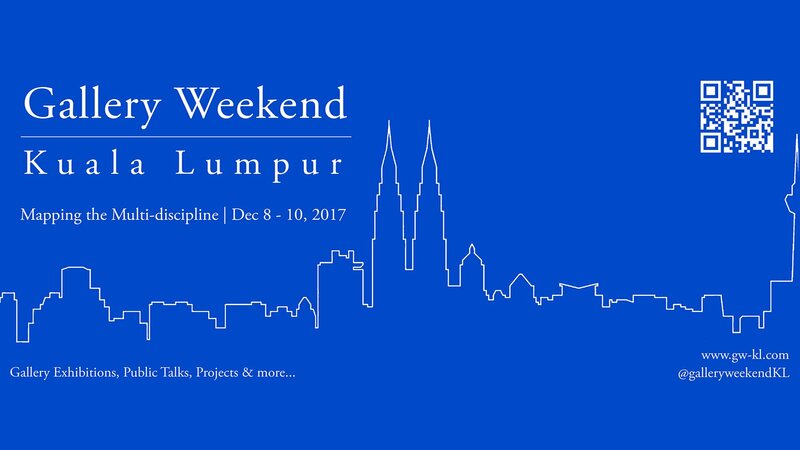 The second edition of Gallery Weekend Kuala Lumpur (GWKL) will take place December 8 to 10 2017, and Artemis Art is happy to announce that we will be part of this initiative. GWKL is an annual 3-day celebration of cultural and aesthetic diversity, participated by galleries and institutions in and around Kuala Lumpur. This year, Artemis Art will have a general hanging during the period, focusing primarily on two artists, Haris Rashid and Migs Villanueva. Recent works by young Malaysian artist Haris Rashid, featured in a recent two-man show In Between Leaves (with Anahita Ghazanfari), will be on exhibit. Haris is also one of the artists featured in Shenzhen International Art Fair 2017, in which we are participating for the first time this year. Migs Villanueva recently had her 8th solo exhibition held at this year’s edition of Art Expo Malaysia. Entitled “Right Of Way“, the exhibition was the focus of Manila-based Galerie Frnacesca’s participation in this year’s edition of the art fair. Our general hanging will feature selected works from her solo exhibition, part of our collaboration with Galerie Frnacesca. In addition to artworks by Haris and Migs, we will also be exhibiting selected works by Dedy Sufriadi, Jasmine Kok, Robi Fathoni, and Umibaizurah Mahir. Visit Artemis Art during GWKL, and while you’re at Publika, make your own art trail by checking out what the other participating galleries have in store for this year’s Gallery Weekend Kuala Lumpur. Gallery Weekend Kuala Lumpur (GWKL) is an initiative coordinated by Datin Shalini Ganendra. This year marks the second time GWKL will take place, and similar to last year, the program includes daily programs over the three days, and special programming taking place at specific times. Of particular interest are the two Luminary Talks that will take place at the National Visual Art Gallery (NVAG) on December 8, and at the Islamic Arts Museum on December 9. Details for the two luminary talks may be viewed at the GWKL website. For complete details of the events taking place this year, visit GWKL 2017’s program page.